Many of the core debates in UK politics today concern the nation’s future trade: the question of Scottish independence, devolution of political power to the regions, and a potential referendum on EU membership. Exploring the history of British trade identities can provide important insights into how we got here and the potential choices for policy makers. As historian Jim Tomlinson has argued, the twentieth century witnessed a gradual process of the ‘partial de-globalisation’ of British regions, with the declining influence of manufacturing and the growth of a more atomised service-sector economy. The discontents this has caused, exacerbated by the recent worldwide economic downturn, have been seized upon by parties such as the SNP and UKIP. Britain, almost uniquely among major nations, retained a system of free trade until 1932. This owed much to the strong integration of Britain’s regions into global trade relationships. Amongst the heartlands of electoral support for free trade in Edwardian Britain were the cotton manufacturing towns of Lancashire and textile producing districts of West Yorkshire, which relied heavily on exports to a variety of world markets; and Dundee, then a global centre for jute manufacture. Even when tariffs were introduced in the 1930s, Britain sought to lower trade barriers to aid industrial exporters, signing trade treaties with a number of countries including Denmark, Argentina and the USA. In fact, the 1930s can be seen as a higher watermark in support for the Union. A Conservative-dominated National Government won landslide election victories in 1931 and 1935, achieving a clear majority of seats in England and Scotland on both occasions. Business organisations such as the Federation of Chambers of Commerce of the British Empire and the Federation of British Industries played an important role in trade affairs at this time, giving regional groups such as Liverpool and Glasgow shipbuilders, Lancashire cotton producers, and Yorkshire textile industrialists an important lobbying role with governments both in Britain and the wider Commonwealth. These bodies helped exporters develop links with overseas buyers, gave advice on commercial arbitration, and enabled industrialists to lobby for access to lower tariff rates in Dominions such as Australia, Canada, and South Africa. 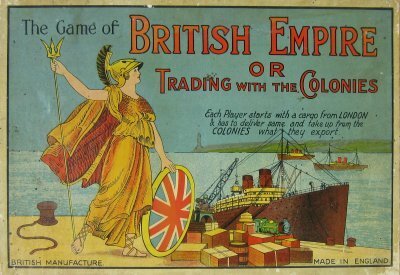 In turn, popular campaigns were launched in those countries to support the buying of goods from Britain and the wider Empire. This system was challenged after 1945, leading to the eventual fracturing of Commonwealth trade relationships in the 1960s, which occurred concurrently with Britain’s first attempts to join the European Economic Community. Moreover, a steady decline in the role of manufacturing within the UK economy undermined regional identities, which were closely tied to industry. Whereas manufacturing made up 41 percent of the British economy in 1948, this fell to around 30 percent in the early 1970s, and stands at 10 percent today. The region with the highest reliance on manufacturing is the East Midlands, where it accounts for 12.5 percent of jobs, whereas manufacturing accounts for only 2.4 percent of jobs in London. The troubled economic times of the 1970s led to a growth in Celtic nationalism which challenged the authority of central government at Westminster, a crisis brilliantly documented in Tom Nairn’s The break-up of Britain (1977). In October 1974, following a year in which oil prices escalated as the result of an Arab embargo, the SNP claimed over thirty per cent of the vote in Scotland (a share they have not bettered at a British general election since). The recent revival in opposition to the two main parties at Westminster can be seen, in part, as a reaction to the ongoing long-term experiences of regional de-industrialisation and a concurrent de-globalisation of trade, aggravated by the recent recession. Scottish regions such as Dundee, which have experienced de-globalisation acutely as a result of the decline of manufacturing, voted for independence, whereas Edinburgh, a centre for international financial services, voted two-to-one against. Prime Minister David Cameron’s recent pledge to tackle the ‘West Lothian question’ and implement a major devolution of powers across the four nations has further stoked debate about the future direction of Britain and the possibilities for English regional government. While the proposed devolution of decision-making may potentially help foster regional development, it is unclear how this will be achieved given that England makes up 85 percent of the UK’s population. What is most important is the need to rebalance the economy, lessening its reliance on financial services honeypots such as London and Edinburgh, and stimulating links with expanding markets in the regions. The UK is far more reliant on financial services exports as a percentage of total service sector exports than other G7 countries, making it particularly vulnerable to further instability in world markets. The revived importance of the Commonwealth in world trade was recognised by the 2013 Lords’ Select Committee on Soft Power and the UK’s Influence chaired by Lord Howell, which called for government to pay greater attention to developing economic links with this network of nations. With several fast-growing economies, including India, Australia and South Africa, and a doubling of trade between its members in the last 20 years, the Commonwealth provides key markets for the future. The UK is particularly well placed to exploit this link due to strong historical trade ties and the evolution of similar business cultures and legal institutions. The Commonwealth Business Council, a company with corporate members, which promoted trade and investment in Commonwealth countries, ceased trading in July 2014. It is imperative that a successor organisation is formed which can play an important role in stimulating intra-Commonwealth trade. In addition, government needs to provide universities with greater opportunities to develop research and development links with markets such as India and China, thereby catalysing the UK’s regional economies. Welcome signs of progress in this regard include the recent expansion of links between the UK Arts and Humanities Research Council (AHRC) and the Indian Council of Historical Research, as well as the Chinese Academy of Social Sciences. AHRC projects offer a range of opportunities to project the UK’s ‘soft power’ – that is, building trust and prestige between nations through cultural influence. For example, Picturing China 1870-1950, a touring exhibition curated by historian Robert Bickers, offered a sophisticated image of pre-1949 China and its relations with the West. The project, which amassed and digitised photos by British expatriates and Chinese nationals, created a new public forum for discussion of complex pre-1949 Western-Chinese relations in China. In total the Foreign and Commonwealth Office estimates that the project reached 10 million people. Globalisation may be a catchphrase for these times, but it has important historical antecedents, which throw light on the current challenges facing British policy makers as increasing numbers of disillusioned voters seek alternatives to the traditional two-party system. One of the key challenges that UK politicians face today is appealing to a population which has witnessed the partial de-globalisation of trade in some regions, it is therefore imperative that efforts are made to stimulate connections with growing markets such as India and China building on historic connections. David Thackeray is a Senior Lecturer at the University of Exeter. He is an AHRC Research Leadership Fellow, 2014-15 and Principal Investigator for the AHRC-funded network, 2014-16, Imagining Markets: Conceptions of Empire/Commonwealth, Europe and China in Britain’s economic future since the 1870s. Dr Thackeray’s first book is Conservatism for the democratic age: Conservative cultures and the challenge of mass politics in early twentieth century England (Manchester University Press, 2013). What is specifically meant by, ‘the partial de-globalisation of trade’ in the last paragraph? Than you! Seems like you’re wanting to do the same thing as the Empire Marketing Board was trying to do in the twenties with one difference – then it was about convincing British workers that our jobs depended on our trade with “our colonies”. Now we have to beg these same colonies to share a little of their up and coming wealth with us, for old time’s sake? …because of our shared history? Good luck with that.